For those of us graduating this year, it is safe to say that we can be divided into three groups. Group A comprises of students who are ecstatic to graduate and embrace the next chapter of their lives with open arms. 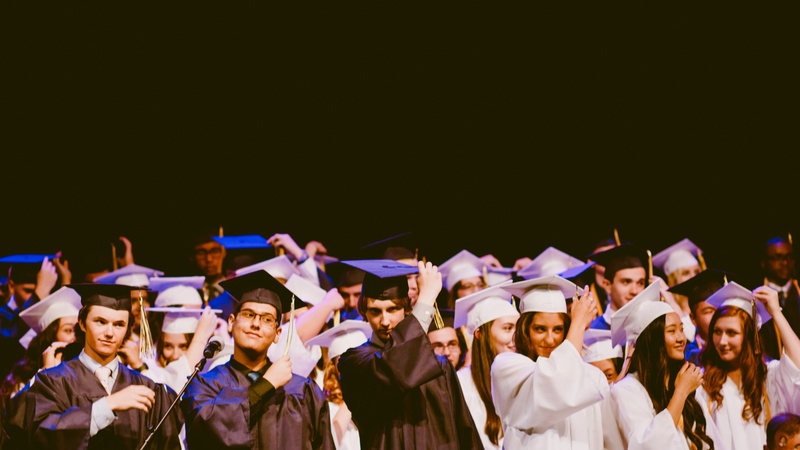 Sitting uncomfortably at the opposite end of the graduate spectrum is group B; graduation is looming and they simply aren’t ready to let go of student life just yet and are doing anything humanly possible to prolong this moment. Then, there is group C who are sitting on the fence; this group casually ponder over how briskly their time as an undergraduate is passing by. Nevertheless, they’ve accepted the end of their student career and are nonchalantly walking through life as it comes. Regardless of which group you identify with, as final years we are all working towards the same destination: graduation. Everyone’s experience during this journey is unique, struggles and worries are subjective, yet similar. What some students might experience as difficult, others will execute with ease. I should probably start applying for jobs, right? Wrong. Pursue what you want to do next, not what society expects of you; unless of course, if your decision is to start applying for jobs, then definitely go for it! Naturally, the next step succeeding university is to begin working a full-time job, at least that’s what society tells us. Firstly, there is no ‘naturally’ because it’s your decision whether you proceed straight into work or embark on a gap year. It’s your choice. Some of us have found jobs, others haven’t, and the rest of us simply don’t know, and that’s okay! Don’t feel pressurised into applying for graduate schemes for the sake of it. Really question yourself: is this what you want to do? You have only just graduated. Experiment, test the waters and discover the world. Everyone works at their own pace, and you’ll reach your destination in your own time. You’ll find a number of final-years in the same boat as you, so don’t worry – it might be worth visiting the Careers & Enterprise service at Queen Mary for some guidance. What if I don’t make it to graduation? If you’re reading this and you’re in your final-year, clearly you must be doing something right. Have confidence in yourself. These are your last moments as an undergraduate, so persevere through this final hurdle and you’ll find all your efforts will turn into success. It’s easier said than done, but think of it this way; on the day you graduate you’ll reflect and think to yourself: All that hard work has finally paid off. So, consider graduation as a long-term goal; with the right mindset you’ll be walking across that stage in no time, and all those moments of self-doubt will become a distant memory. You’re probably already aware, but you will no longer be entitled to receive free money (which you had to pay back anyway). Whether you have a part-time job or not, the loan has been a saviour for all those times you were short of funds. Without a loan, you will be forced to budget even more than usual as you won’t be able to rely on the next instalment. It’s definitely an eye-opener, but view it in a positive light; if you start budgeting early then it can only get easier by the time you graduate. Avoiding impulse buys and not spending your money on meaningless items, your savings could accumulate to a larger sum than expected. You might just save enough to spend on a bonus holiday! It is extraordinary to think about how quickly these past few years flew by, especially when it feels as though it all happened in the blink of an eye. Although when you calculate how much time really goes into attending lectures and seminars, it does not equate to as long as you may think. The academic year lasts for 24 teaching weeks, (22 if you subtract reading weeks), the month of April counts as revision/holiday period, and May through to June are examination months. Really, you have only been learning for about 6 months at a time which means a standard three-year course technically lasts for one and a half years. Mind blowing right? This mathematical way of breaking down three or four years certainly puts into perspective an undoubtedly short three years of full-time study. As cliché as it may sound, make the most of your time left as a student, because the memories you make are unique to this moment in time. Yes, you may have similar experiences in the future, but you won’t be this age again, and this will all become a memory.